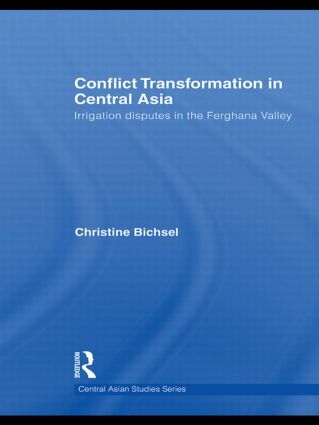 This book provides the first systematic analysis of peace-building in Central Asia for inter-ethnic conflicts over water and land in the Ferghana Valley based on concrete, in-depth and on-site investigation. The core analysis centres on peace-building projects in Kyrgyzstan, Uzbekistan and Tajikistan by three international aid agencies –an international NGO, a bilateral governmental donor and a multilateral agency – and the shared approach which the donors developed and used for conflict transformation. Using ethnographic case material, the author critically examines both the theoretical assumptions guiding this approach and its empirical outcomes when put into practice. Building on existing work in conflict transformation and the ethnography of international assistance in Central Asia, the book sheds light on Western attempts to transform the post-socialist societies of Central Asia and provides fresh empirical data on and insights into irrigation practices, social institutions, and state and identity formation in the Ferghana Valley. The book provides a novel and innovative approach to the study of development assistance and peace-building. It will be of interest to researchers in the field of Central Asian Studies, post-Soviet Studies, Development and Peace and Conflict Studies.